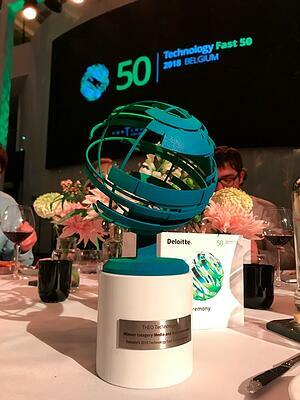 We are proud to announce that THEO Technologies won the 5th edition of Belgian Deloitte’s Technology Fast 50 Award in the Media and Entertainment Category, the annual competition that rewards Belgian companies who develop a technology product or service, experiencing a substantial revenue growth over the last years. 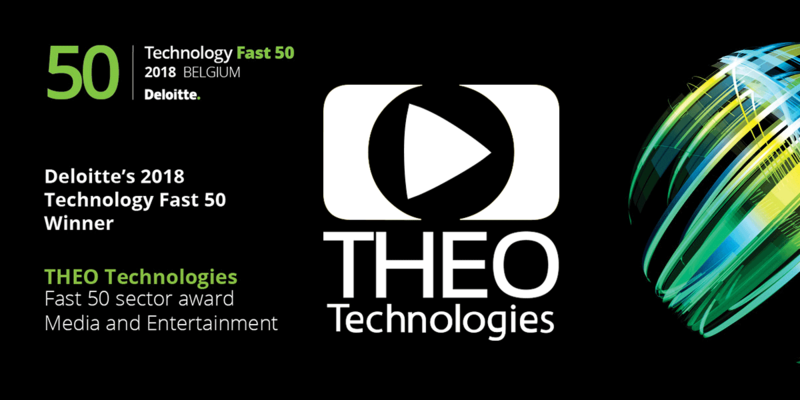 With a growth of 2.076 %, THEO Technologies is the fastest growing technology company in the Media and Entertainment Category in Belgium, and overall the 4th fastest growing tech company in Belgium. Being recognized as the fastest growing tech company in the media and entertainment space is a great achievement for our team and a reward for the amazing work of our team the last years. We are very excited to receive this award and are proud to be part of a select group of fast-growing Belgian technology companies conquering the world , said Steven Tielemans, Founder & CEO of THEO Technologies. Implemented as video player in the video services of leading media companies, THEOplayer is used these days several billion of times every month to offer viewers the best video experience on all different screen sizes. We are proud to play such a crucial role in bringing videos over the internet to people and we understand our responsibility in providing them an outstanding experience. The past years have been incredible for THEO Technologies. THEO Technologies is today a company counting more than 65 people who have enriched the team and improved the product, bringing THEOplayer where we are now. This exponential growth led to a global customer base, from Belgium to USA, from Mexico to Japan, covering all industries and segments, including some of the largest global media companies. Awarded Best Video Player in the world in the last two years by the industry, THEOplayer can count on an extremely strong and experienced team of video engineers that are on a mission to further improve our product every day in order to allow media companies to offer the best possible video experience to their viewers. This is done by supporting the widest variety of devices not limited to web, tablets and smartphones but also new connected devices like smart-TVs, streaming TV dongles and the next generation of set-top boxes. This prize is the result of the hard work of our team and the continuous collaboration with our customers, which resulted in this important award. We wouldn’t be here without our colleagues, customers and partners. This reflects in the fact that THEOplayer can today proudly claim the position as best online video player solution in the market and that our customers keep choosing us when they want to deliver the best possible video quality to their viewers on every device and platform. We are looking forward continuing our exiting journey in the coming years. - Steven Tielemans said. With this recognition THEO Technologies keeps growing as indisputable front runner of the industry. We are happy to hear about your questions and comments so do not hesitate to get in touch.